A week ago I participated in the Worldly Movement of A day.org. Picture today inspire tomorrow! 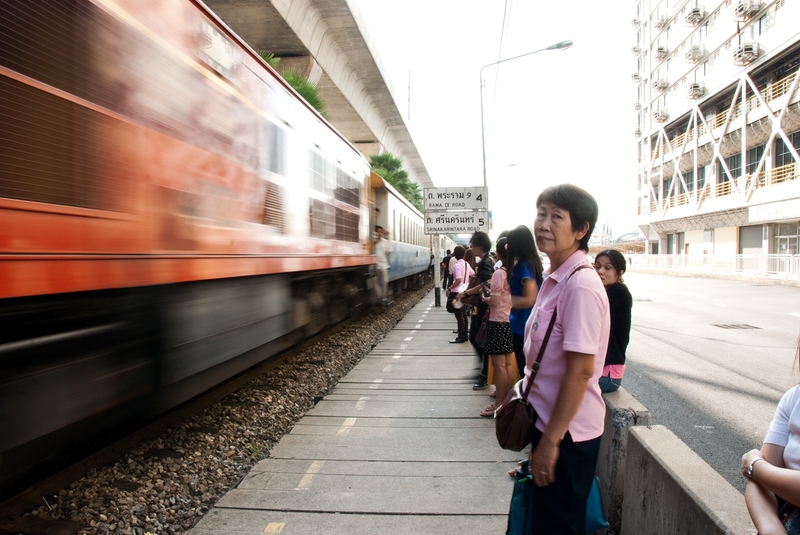 And I have focused on the subject commuters in Bangkok. 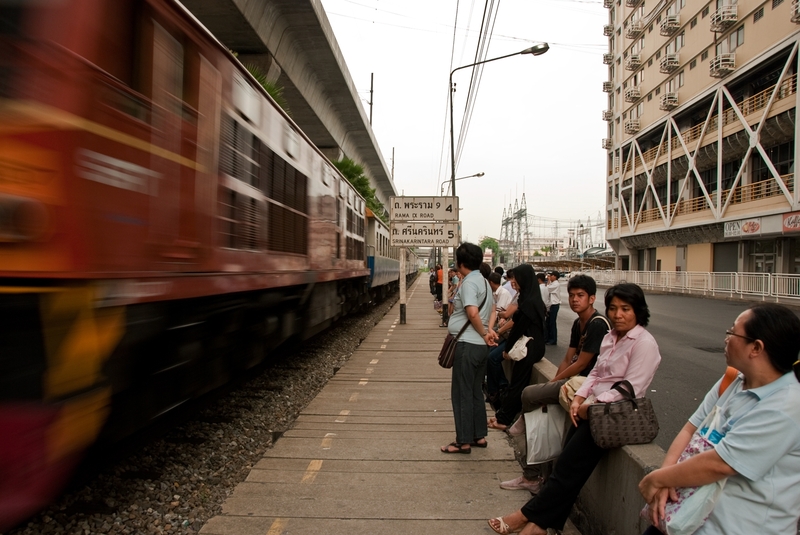 I took my camera and went early in the morning to the intersection/railway station Ramkhamhaeng. Which is in the eastern neighbourhood of Bangkok. The buzzing life in this area, trains, the city line above in the air, cars, buses, motorcycles, street vendors is really part of the everyday life. And I took a closer look at the commuters waiting at the railway station. The first picture is from the morning and the second when I came back in the evening.